Finance your dream home in Capital Region of NY Imagine buying your dream home. Connect with a lender to help you make it happen. Sponsoring Lender: Hometown Mortgage Corp.
Our team of local financing experts are ready to guide you through the home buying process. We are committed to fast, professional, courteous and personal service to help you understand and feel at ease throughout the home buying process. Our trained and certified loan originators specialize in financing homes in the Capital Region of NY area real estate market. We are prepared to find the right loan program with competitive rates and low down payments for you. Please do not submit any confidential information. 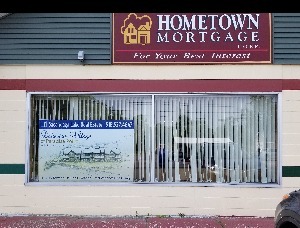 This will be shared with both Hometown Mortgage Corp. and 518Realty.com Inc..
Let me know how I can assist you with your Capital Region of NY mortgage needs. I am here to help! 518Realty.com is your Local Real Estate Expert serving the New York Capital Region. © 2019 Global Multiple Listing Service, Inc. The data relating to real estate on this website comes in part from the Internet Data Exchange program of the GMLS. All information is deemed reliable but not guaranteed and should be independently verified. All properties subject to prior sale, change, or withdrawal. Neither listing broker(s), GMLS shall be responsible for any typographical errors, misinformation, or misprints, and shall be held totally harmless from any damages arising from reliance upon these data. IDX information is provided exclusively for consumers’ personal, non-commercial use and may not be used for any purpose other than to identify prospective properties they may be interested in purchasing. Data last updated 2019-04-24T09:12:29.603.